Hammond Mfg. has dropped its pricing on their stainless steel enclosures yet again by as much as 30%! 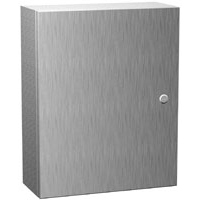 This is a great opportunity if you have a need for an enclosure for a corrosive environment. 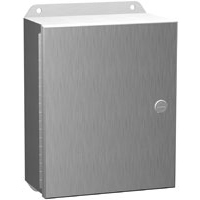 For more information, read this White Paper on Stainless Steel Enclosures by the Stainless Steel Industry of North America. It goes into great detail about typical stainless steel applications and their benefits. Click here to start shopping now and take advantage of Hammond's lower prices. All Hammond orders $975 (subtotal before tax) and over qualify for Free Freight.